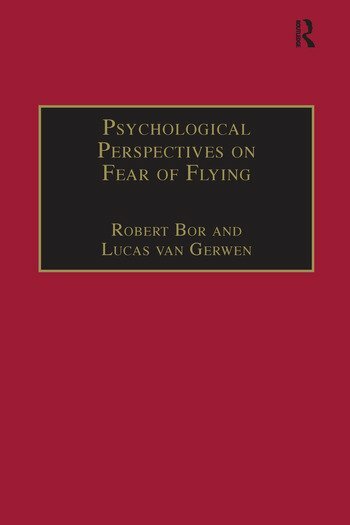 This is the first authoritative work to examine the psychological determinants and effects associated with the 'fear of flying'. The contents include: Â· the extent and nature of the problem of fear of flying; Â· understanding public perceptions of safety associated with flying; Â· assessment of clients; psychological treatment approaches; Â· the use of specific interventions (e.g. virtual reality) and clinical case studies. It is an up-to-date and wide-ranging handbook, covering theory, research and practice. The international panel of authors are all experienced researchers and clinicians, and are leaders in their respective fields. The book is intended for those who work professionally in commercial and military aviation. This includes aviation psychologists, aerospace medical/nursing personnel, flying instructors, clinical psychologists and psychiatrists and those involved in fear of flying programs. A secondary audience includes researchers, professionals with an interest in anxiety/phobia, travel health clinic nurses and counsellors/therapists. Those who have a fear of flying themselves will also find the contents of interest. Contents: Sociodemographic and clinical characteristics of people who self-refer for treatment for their fear of flying, Lucas van Gerwen; The influence of the media on perception of risk associated with flying, Neil J. McLean; The effect of information about aviation on fearful flyers, Marco Verschragen, Claudia de Zeeuw and Lucas van Gerwen; Construction and psychometric characteristics of two self-report questionnaires for the assessment of fear of flying, Lucas van Gerwen, Philip Spinhoven, Richard van Dyck and Rene F.W. Diekstra; Personality pathology and fear of flying: cognitive-behavioural treatment outcome, Christelle Delorme and Lucas van Gerwen; Cognitive coping and anxiety among people with fear of flying, Vivian Kraaij, Nadia Garnefski and Lucas van Gerwen; Multi-dimensional approaches to the treatment of passenger fear of flying - practical and contextual challenges, Richard J. Roberts; Rational emotive behaviour therapy for a fear of flying, Kasia Szymanska; Cognitive-behavioural treatment of fear of flying - follow-up at two years, Ã˜ivind Ekeberg, Johannes Arnesen and Ingerid Seeberg; Multi-component standardised cognitive-behavioural group treatment programme for fear of flying, Lucas van Gerwen; Brief, solution-focused psychological treatment for fear of flying, Robert Bor; Virtual reality exposure therapy in the treatment of fear of flying, Page L. Anderson, Barbara Olasov Rothbaum and Larry F. Hodges; Computer-assisted therapy for flight phobia, Xavier Bornas, Miquel Tortella-Feliu and Jordi Llabrés; Flight crew involvement in the fear of flying, Michael P. Tomaro; Putting fear to flight: cases in psychological treatment, Elaine Iljon Foreman; Index. Robert Bor DPhil CPsychol AFBPsS UKCP Reg FRAeS is a Consultant Clinical Psychologist at the Royal Free Hospital, London and Visiting Professor of Psychology at London Metropolitan and City Universities, London. He is a Chartered Clinical, Counselling and Health Psychologist and is also a Registered Psychotherapist. He teaches on the MSc in Air Transport Management at City University, London. He provides a 'Fear of Flying' therapy service at the Royal Free Travel Health Clinic. He also acts as a consultant in aviation psychology to a number of airlines and is extensively involved in pilot mental health services. He has published several books and journal articles on aviation psychology. His recent book 'Passenger Behaviour' was also published by Ashgate. He has a Private Pilot's Licence (with ratings). Dr Lucas van Gerwen is a Clinical Psychologist, Registered Psychotherapist, Health Psychologist and a professional pilot. He works for the VALK Foundation, a collaborative venture between the University of Leiden, KLM Royal Dutch Airlines and Amsterdam Airport Schipol with the aim of helping people to overcome their fear of flying. He is an EAAP (European Association of Aviation Psychology) registered aviation psychologist. He provides stress management training for student pilots with the KLM flying school. He has published several books and journal articles on aviation psychology. He is the founding father of the International World Conferences on Fear of Flying.